Use of this website is subject to the following terms and conditions. Your use of the website constitutes acceptance of these terms and conditions. If you do not agree to these terms and conditions, do not access this website.  Northbridge Financial Corporation and its affiliates, subsidiaries, directors, employees or agents (“Northbridge”) provide this website for informational purposes only. The content of this website has been compiled in good faith by Northbridge. However, all information is provided “as is” without any warranties of any kind and Northbridge assumes no responsibility to you or any third party for the consequences of any errors or omissions. This website could contain inaccuracies or typographical errors. Any user who accesses this website does so solely at his or her own risk. The content provided in this website may be changed at any time without notice. Changes may be made to these terms and conditions at any time without notice by updating this posting. You agree to review these terms and conditions regularly and your continued use or access of the website will mean that you agree to any changes. You may change your web browser settings to disable cookies. The process for how to do this will depend on the type of browser and device you are using. The services described on this website are not insurance policies and not all policies are eligible for the services. Legal Assist services are not provided for criminal, personal or insurance issues, do not provide representation in legal proceedings or legal fees coverage, and are provided by Assistenza International, through lawyers licensed in your jurisdiction. Risk Assist is provided by our Risk Services specialists and is intended to augment your internal safety, compliance and risk management practices, and is not a substitute for professional or legal advice. 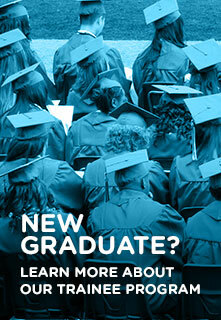 Trauma Assist is provided by independent third-party professionals, long-term and specialized counseling not included. Cyber Assist is provided by CyberScout, LLC, services are not included in any cyber extension or endorsements. Please contact us for more information. In no event will Northbridge be liable for any damages, including without limitation, direct, indirect, special, incidental, moral or consequential damages, loss of profits, opportunities or information or for expenses arising in connection with this website, with any software available on this website, with any hyperlinked website or for use thereof or inability to use by interruption, defect, delay in operation or transmission, computer virus or line or system failure, even if Northbridge is advised of the possibility of such damages, losses or expenses. This website is not intended to provide specific insurance or other advice for any individual or business entity and should not be relied on for such advice. Persons seeking insurance or other advice should contact a licensed professional, such as their insurance broker, who can take their individual circumstances into account. The descriptions of the various products and services offered by Northbridge contained in this website are provided solely for general informational purposes. No offer is made or intended to be made on this website. The information and descriptions contained in this website are not intended to be complete descriptions of all terms, conditions and exclusions applicable to the products and services. In all cases, products and services are governed by the terms, conditions and exclusions of the actual policy. Products and services mentioned in this website are available only in Canada, in jurisdictions where they may be legally offered. Not all products and services are necessarily available throughout Canada. Northbridge provides links to third party websites only as a convenience and does not control such websites and is therefore not responsible for the content of any such website. The inclusion of any link by Northbridge does not imply endorsement, investigation or verification by Northbridge of the linked website or the material contained therein. Your access and use of any third party websites, including the information, material, products and services contained therein are solely at your own risk. All materials published, downloaded or otherwise hosted on this website, including, but not limited to, software, articles, text, information, reports, newsletters, data, web pages, HTML, scripts, code, Java, images, and all other content including the manner in which they appear or are displayed or presented (the “Content”) are protected by copyright laws, and/or other intellectual property laws including, without limitation, trademark laws and are owned by Northbridge, its affiliates, its licensors or the party credited as the provider of the Content. In addition, this website as a whole is protected by copyright law as a collective work and/or compilation, pursuant to Canadian copyright laws, international conventions and other copyright laws. You must abide by all copyright notices and restrictions contained in any Content. Certain product names, company names, words, titles, phrases, logos, designs, graphics and icons displayed on this website constitute trade-marks of Northbridge, its affiliates or third parties. The use, the retransmission or other copying or modification of any trade-marks displayed on this website is prohibited without the written permission of Northbridge or the owner of the trademark. For more information, please see Trademark Information. You agree that you will not: (i) develop, support, or use software, devices, scripts, robots, scrapers, crawlers, plugins, add-ons, harvesters, spiders or any other automated device, technology, manual work, means or processes to scrape or access or use the website for any purpose other than web indexing; (ii) use the website for any unlawful, unauthorized, fraudulent, or malicious purpose; (iii) use the website in a way that could damage, disable, overburden, or impair any server or the network(s) connected to any server; (iv) use the website in any way that could interfere with any other party’s use and enjoyment of the website; or (v) use the website for any use other than the purpose for which it was intended. This website is controlled by Northbridge from its offices within the Province of Ontario, Canada. The website will be governed by and construed in accordance with the laws of the Province of Ontario and the laws of Canada applicable therein, without giving effect to any principles of conflicts of laws. All disputes, controversies or claims arising out of or in connection with the website shall be submitted to and be subject to the jurisdiction of the courts of the Province of Ontario. You submit and attorn to the exclusive jurisdiction of the courts of the Province of Ontario to finally adjudicate or determine any suit, action or proceeding arising out of or in connection with the website.